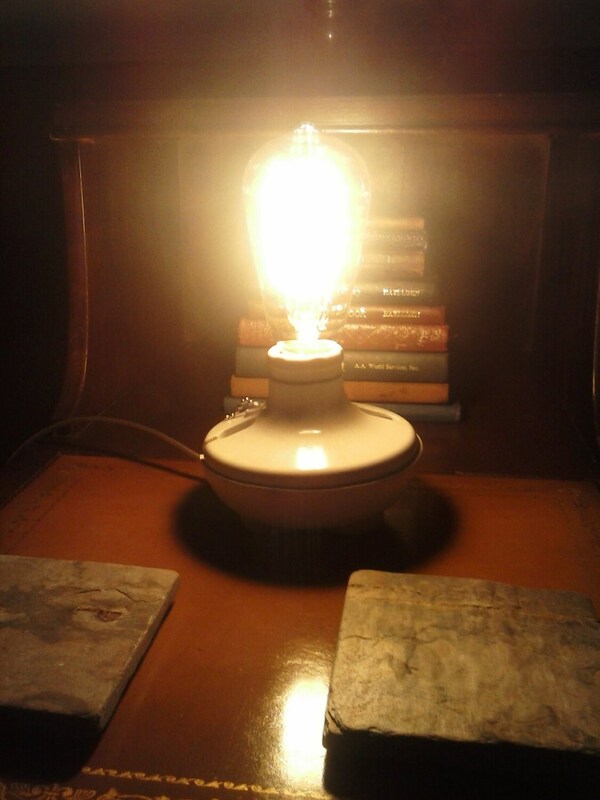 An old fashion style lamp for any room of your house. 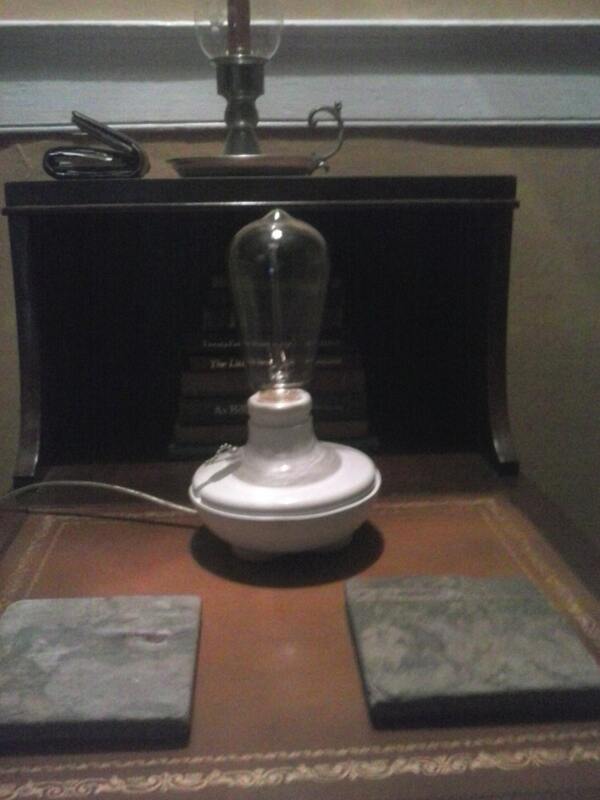 Here is a white light socket mounted onto a white wooden base with an old style Edison Bulb. To turn on and off the light you use the socket's pull chain. The base is 4.5 inches in diameter and 2 inches in height. The cord is 3 feet long. All parts are UL Listed. 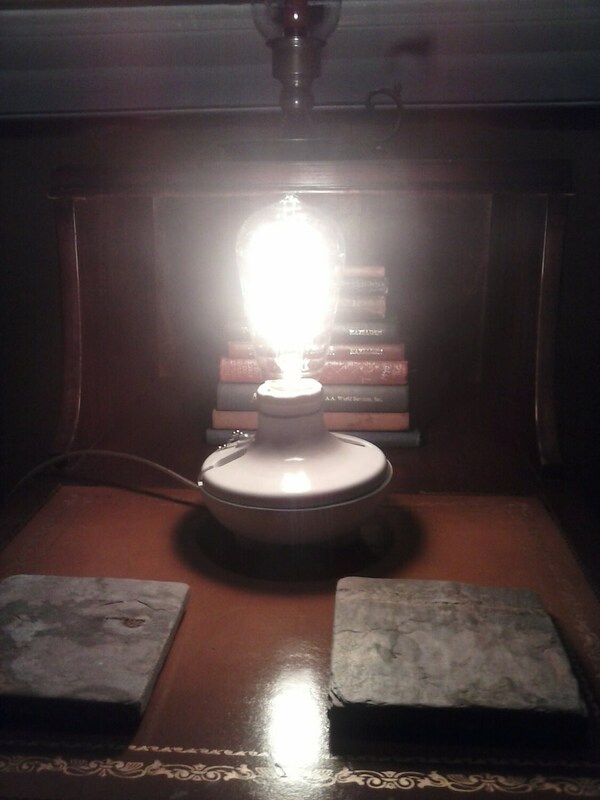 Bulb is included!